Questions about Kichler Lighting 45467SMG? 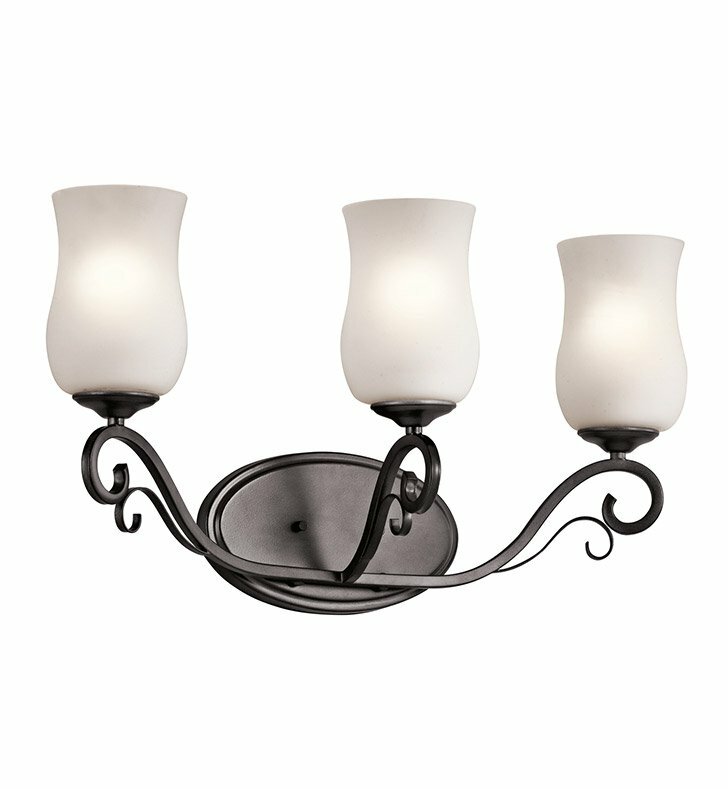 This 3 light bath light from the Kambry collection features a smoky grey metal finish that provides a cool balance against the scrolls and curves that give it its traditional style. Personalize the look to your home with optional shades that are sold separately. Choose clear glass for an old-world look, satin-etched glass for a more classic style or white fabric shades for a transitional feel. Dimensions: H 11 1/2" W 22"